2 kva to 10 kVA Generators for sale and hire 24 hours a day, 7 days a week. Generator Power has a wide range of Diesel generators for hire. In this wide range, we have 2 kVA to 10 kVA generators ready to be delivered to any part of the country 24 hours a day, 7 days a week. The compact generators in this fleet are perfect for people on the go. This small generator hire fleet is commonly requested by people hosting small social events, camping or living on job sites. The generators in this range are lightweight for easy transportation and quiet enough not to be a distraction to your activities. Based on the level of power you need, we have the perfect rental generator for you from 2 to 10 kVA. Our generators come from the biggest brands across the globe, and we offer competitive rates and fantastic service to go along with them. We service and deliver our generators all across Australia from our locations in Sydney, Brisbane, and Canberra. 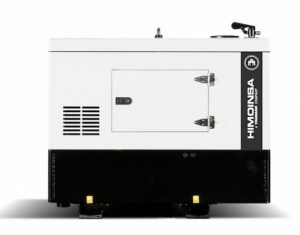 If you need a compact generator fast, contact us today and ask about any of the generators in the 2 to 10 kVA range. We will make sure you get what you need.